Rocket-pi is a Raspberry Pi based rocket flight recorder #piday #raspberrypi @Raspberry_Pi « Adafruit Industries – Makers, hackers, artists, designers and engineers! James’s goal was to build a ‘plug and run’ video system within a rocket, allowing high-definition video to be captured throughout the entirety of the flight. 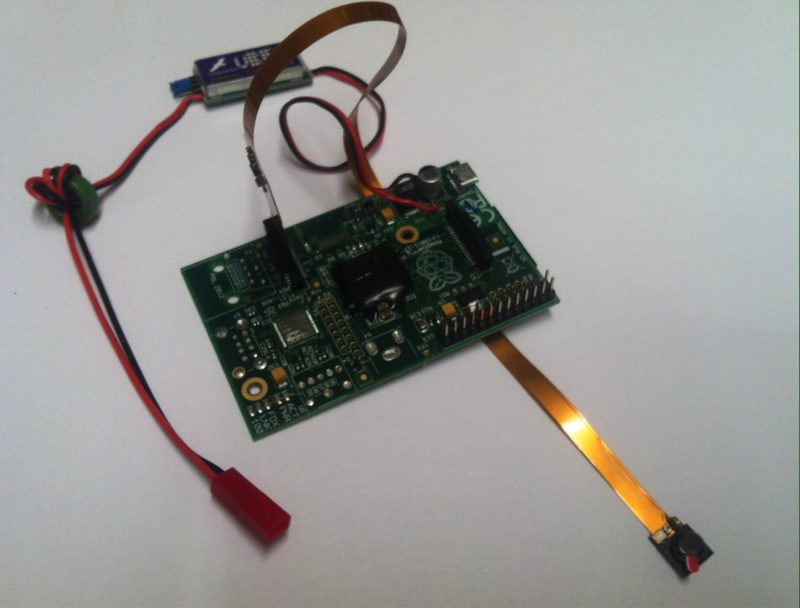 He also required a fully functioning Linux system that would allow for the recording of in-flight telemetry. You can totally see the direction he’s headed in, right? This requirement called for long battery life, high storage to accommodate up to 1080p video, and a lightweight processor, allowing the rocket to be robust and reliable while in flight. Unsurprisingly, James decided to use the Raspberry Pi for his build, settling for the model B. Before starting the build, James removed the HDMI port, composite video output, USB post, audio jack, and Microchip LAN9512. Not only did this lessen the weight of the Pi, but these modifications also lowered the power needed to run the setup, thus decreasing the size of battery needed. This shrunken unit, completed with the addition of a Pi camera, meant the Pi could run for 8-10 hours with the recording quality lowered to 720p60 and no audio captured.